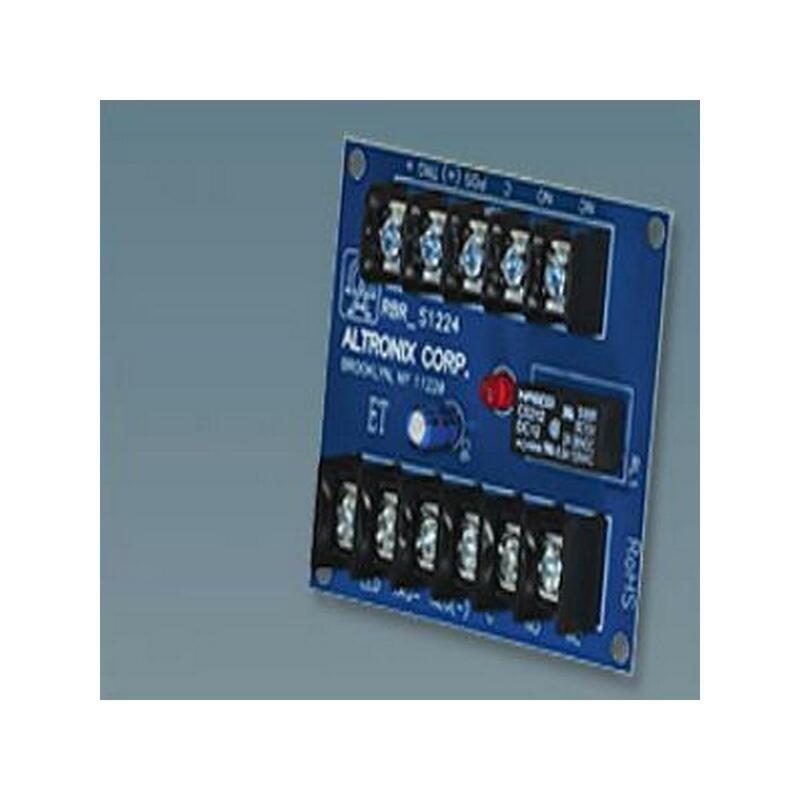 Altronix Corporation is a leading designer and manufacturer of low voltage electronic components. 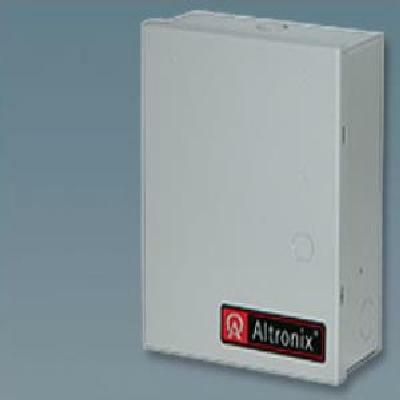 Altronix offers a comprehensive line of Security, Fire, CCTV, Access, Nurse Call, and Automation products. 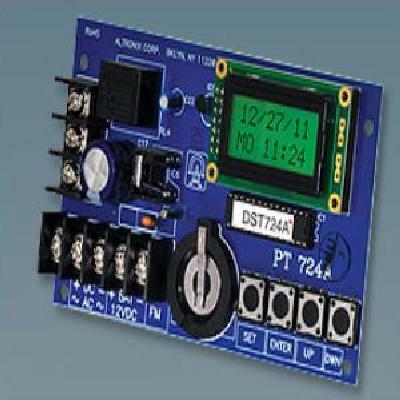 The security industry requires electronic components which can perform flawlessly under rigorous conditions, twenty-four hours a day. 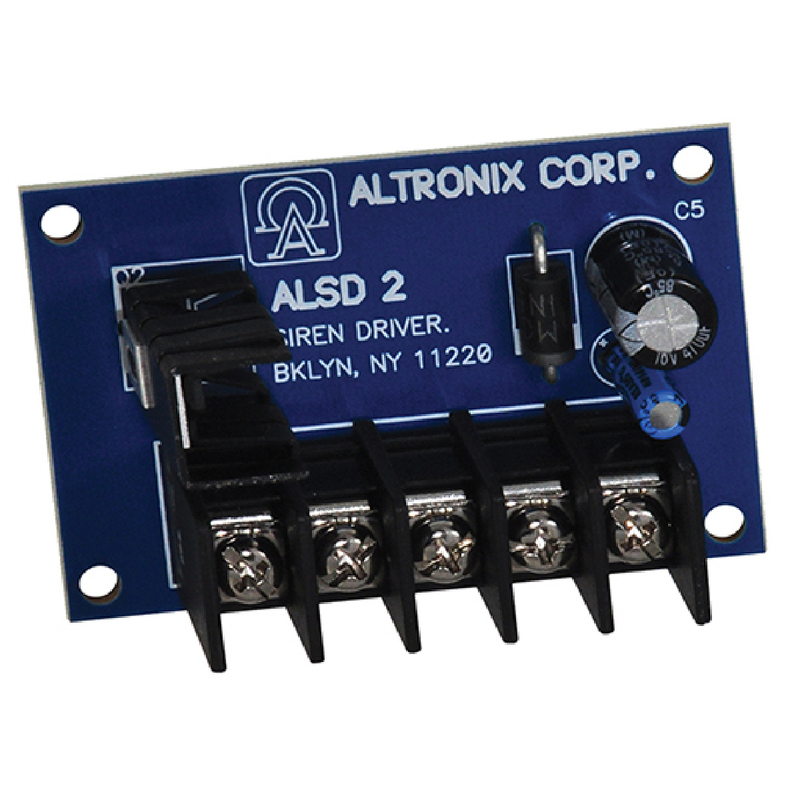 Incorporating cutting edge design and engineering, Altronix has secured an unprecedented reputation synonymous with quality, service, and reliability. 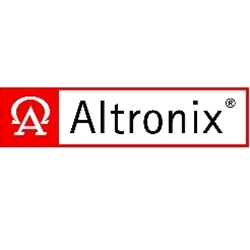 Most of our products carry a 'Lifetime Warranty' and are proudly 'Manufactured in the U.S.A.' In addition to producing a wide range of components, Altronix offers OEM design and manufacturing services to create custom electronics for commercial and industrial applications. 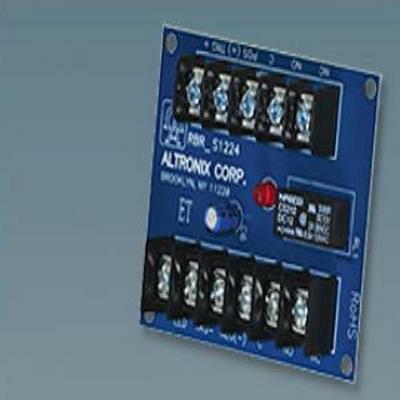 Altronix serves both domestic and international markets through a worldwide network of distributors. Founded in 1983, our headquarters are based in Brooklyn, New York. 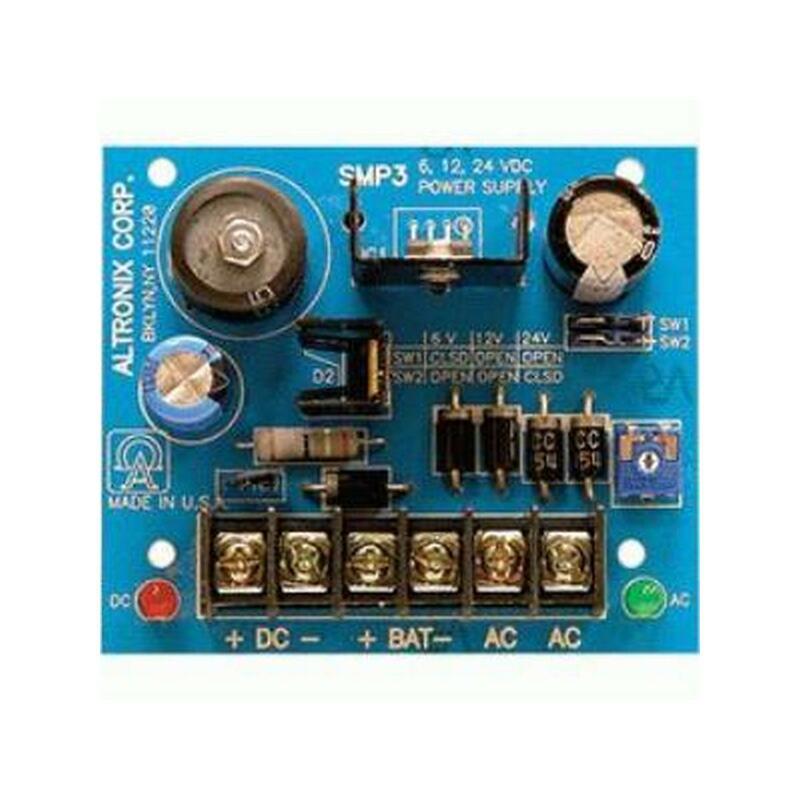 Altronix AL600ULXR power supply/charger converts a 115VAC 60Hz input, to a 6 amp of continuous supply current @ 12VDC or 24VDC non-power limited output. Red Enclosure. 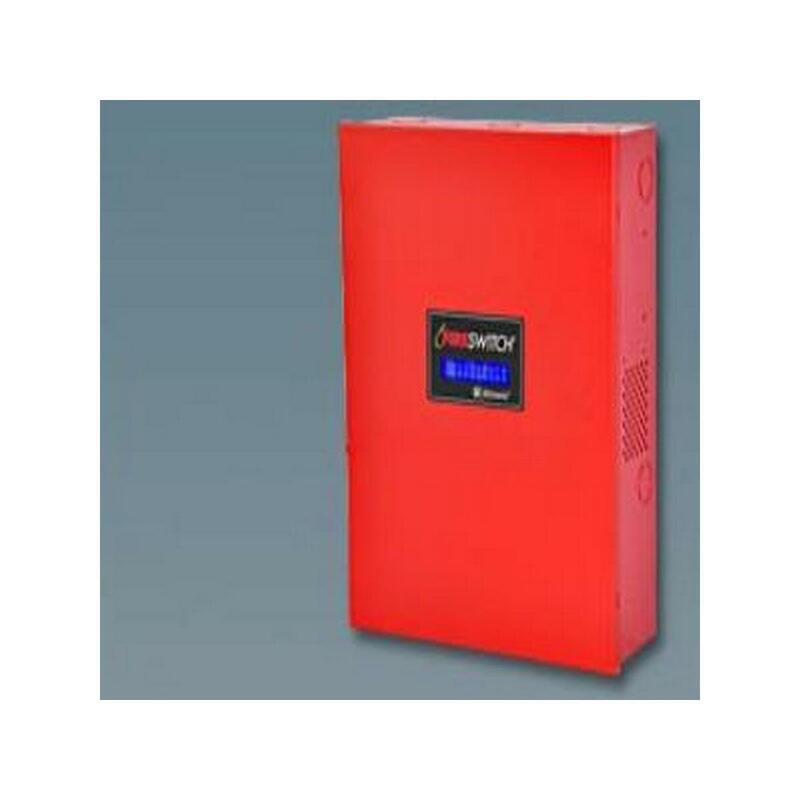 Altronix AL602ULADA 6.5 amp voltage regulated remote power supply/battery charger. 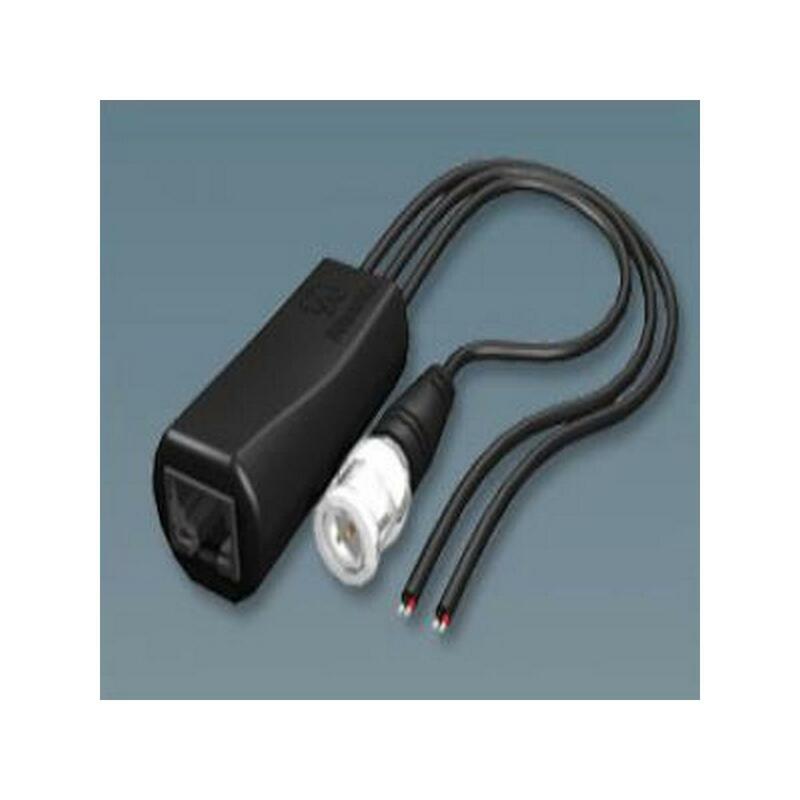 Power input 120VAC 60 Hz, 4A. Two (2) Class A, Style Z or two (2) Class B, Style W, X, Y FACP inputs. Two (2) NC dry contact trigger inputs. 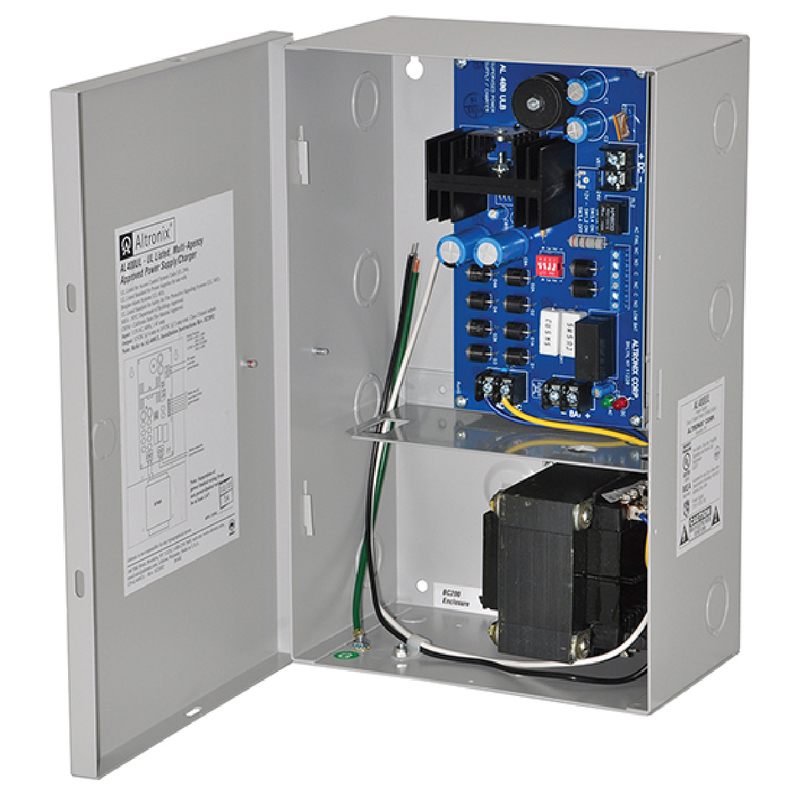 24VDC @ 6.5A max total alarm current. 2.5A max current per output. Two (2) outputs may be paralleled for more power on an indicating circuit (see 02 Application Guide). Four (4) Class B, Style W, X, Y or Two (2) Class A, Style Z or One (1) Class A, Style Z and Two (2) Class B, Style W, X, Y (see 02 Application Guide). 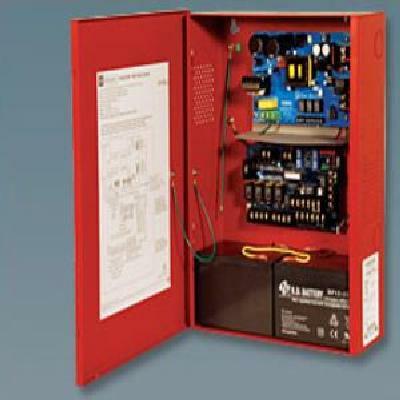 Thermal and short circuit protection with auto reset. 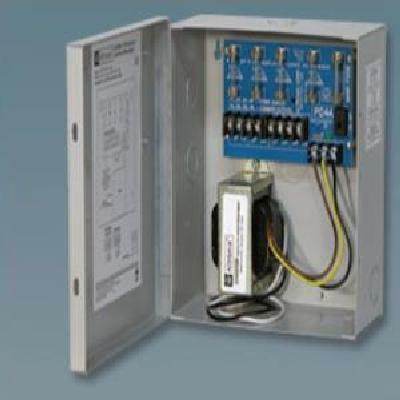 AC fail supervision (form "C" contact, 1A/28VDC).Factory set for 30 seconds with optional 2.5 to 3 hour delay setting (field selectable). 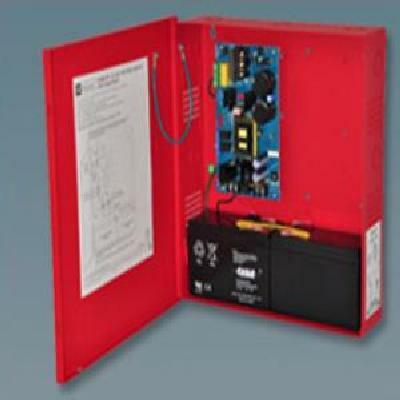 Instant local AC trouble reporting relay (form "C" contact, 1A/28VDC). 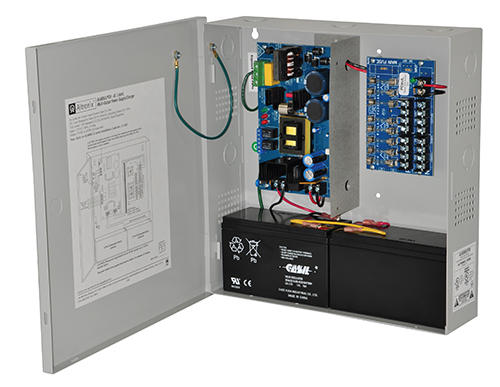 Battery presence and low battery supervision (form "C" contact, 1A/28VDC). 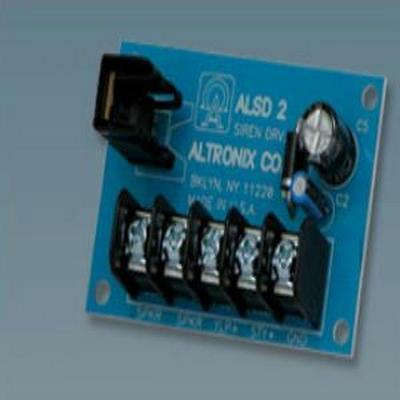 Input and output status LED indicators. 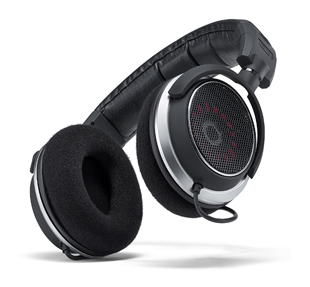 2-wire horn/strobe Sync mode allows audible notification appliances (horns) to be silenced while visual notification appliances (strobes) continue to operate. 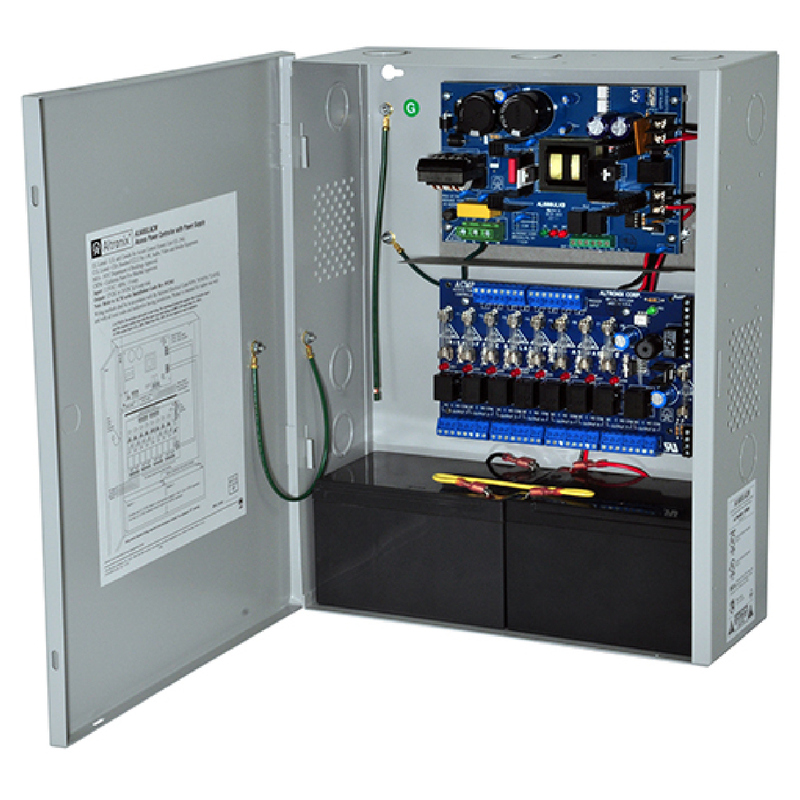 Sync protocols include Potter/Amseco, Faraday, Gentex®, System Sensor®, and CooperWheelock®. Temporal Code 3, Steady Mode, Input to Output Follower Mode (maintains synchronization of notification appliances circuit). 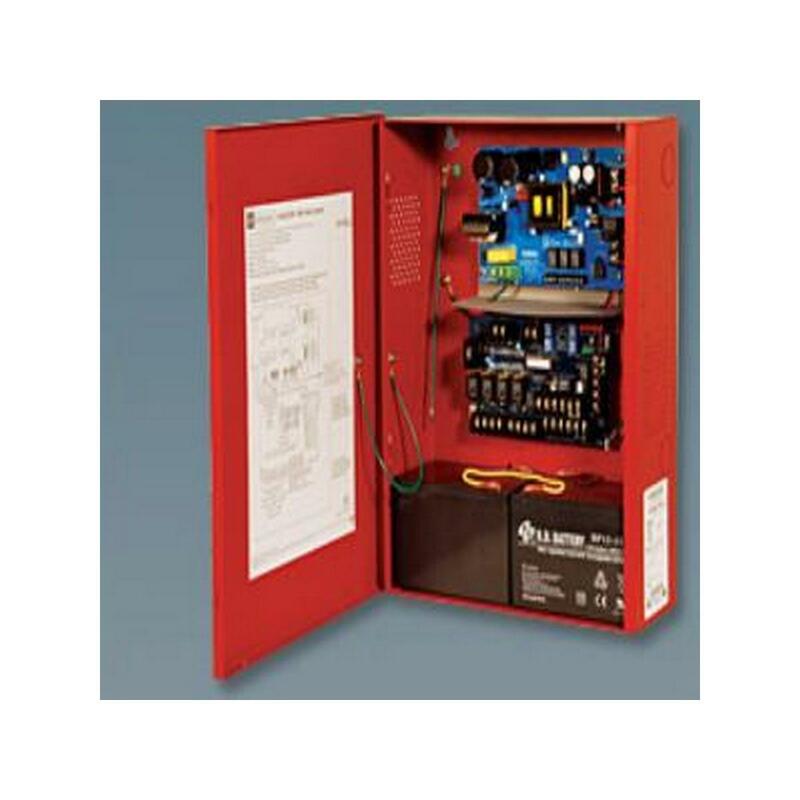 Compatible with 12VDC or 24VDC fire panels. Output loop supervision steered to input 1 or input 2. 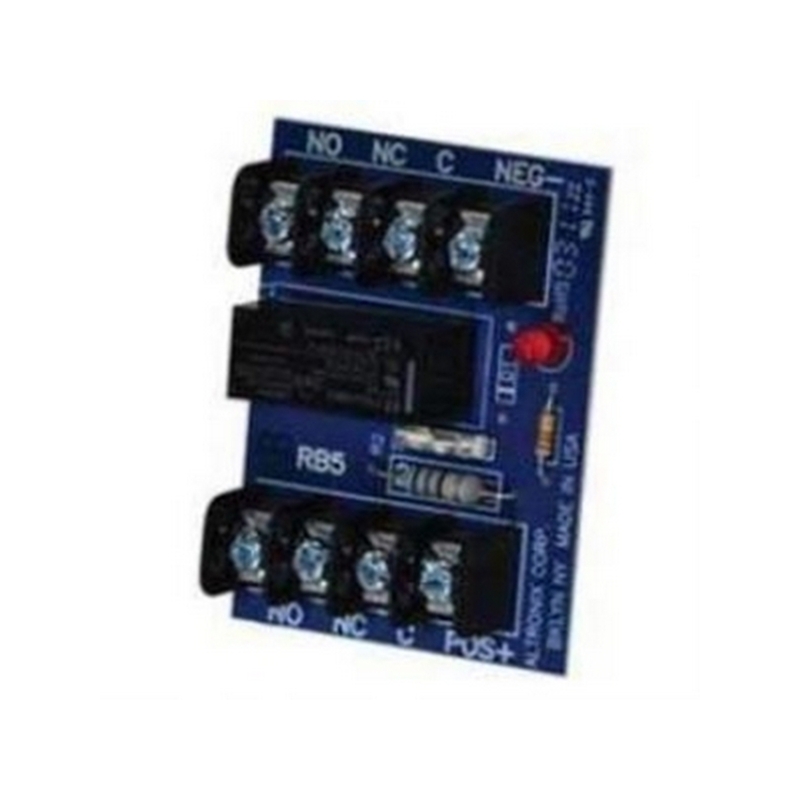 Signal circuit trouble memory (helps identify intermittent loop problems). 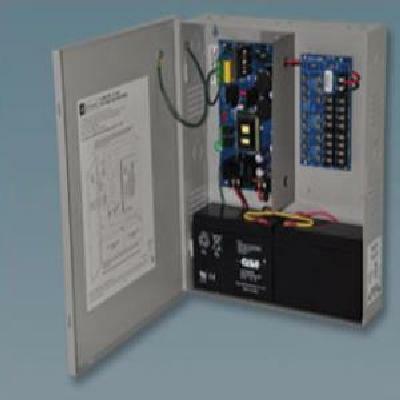 Common trouble input and output for external trouble signals tie-in. 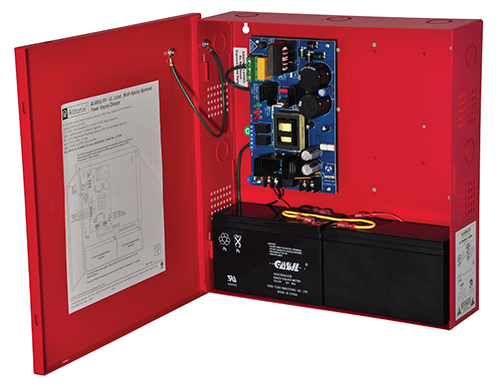 Unit includes power supply, red enclosure, cam lock, and battery leads. 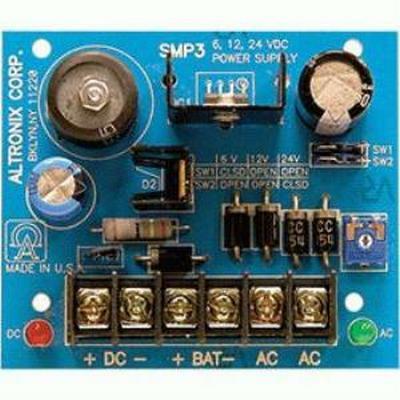 Altronix ALTV248ULMI 24VAC CCTV Power supply provides 24VAC distributed via eight (8) electronically isolated fuse protected outputs. 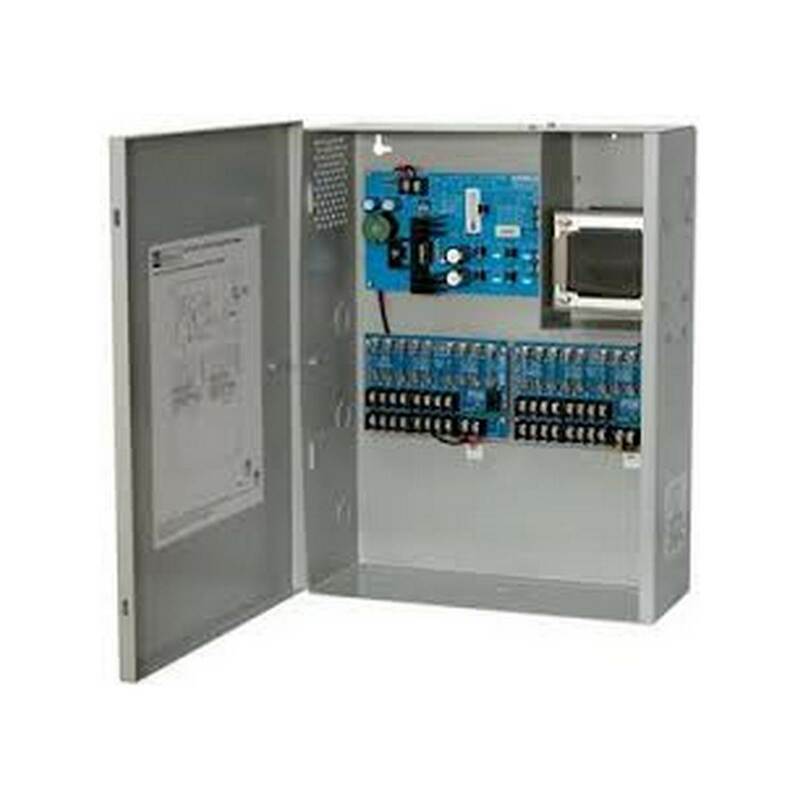 12VDC @ 4A or 24VDC @ 3A supply current. 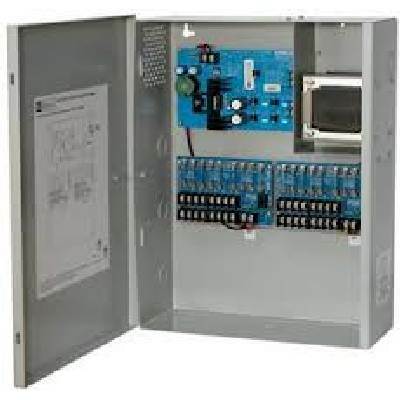 System AC input VA requirement: 166.75VA. 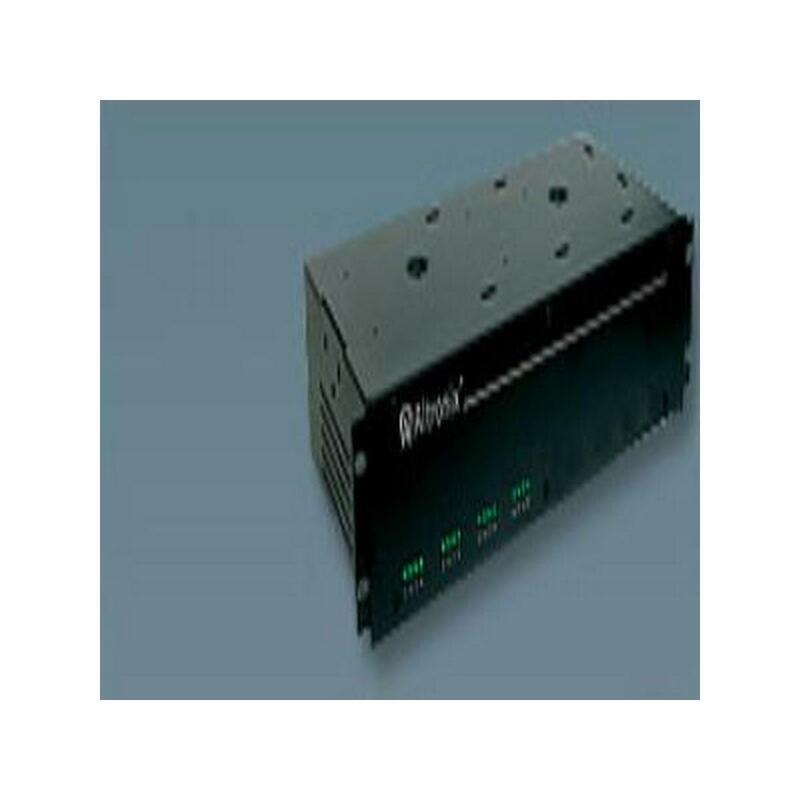 Relay Module - 6VDC or 12VDC operation, 120mA current draw, DPDT contacts rated @ 5 amp/220VAC or 28VDC. 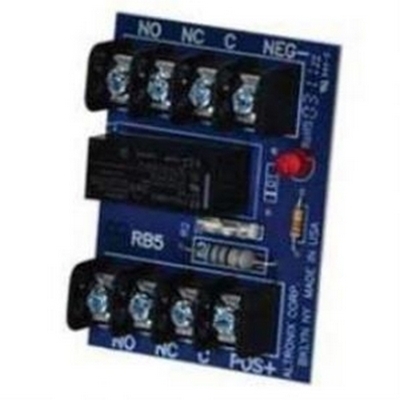 RB5 relay module is designed for continuous duty. 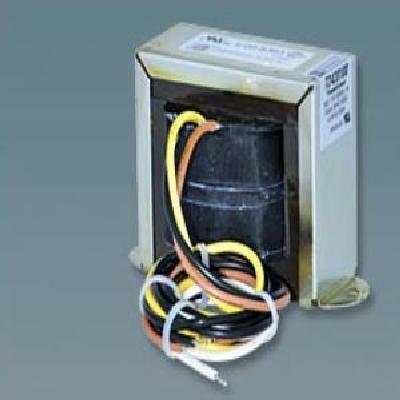 This rugged, reliable and dependable relay will handle many switching application. 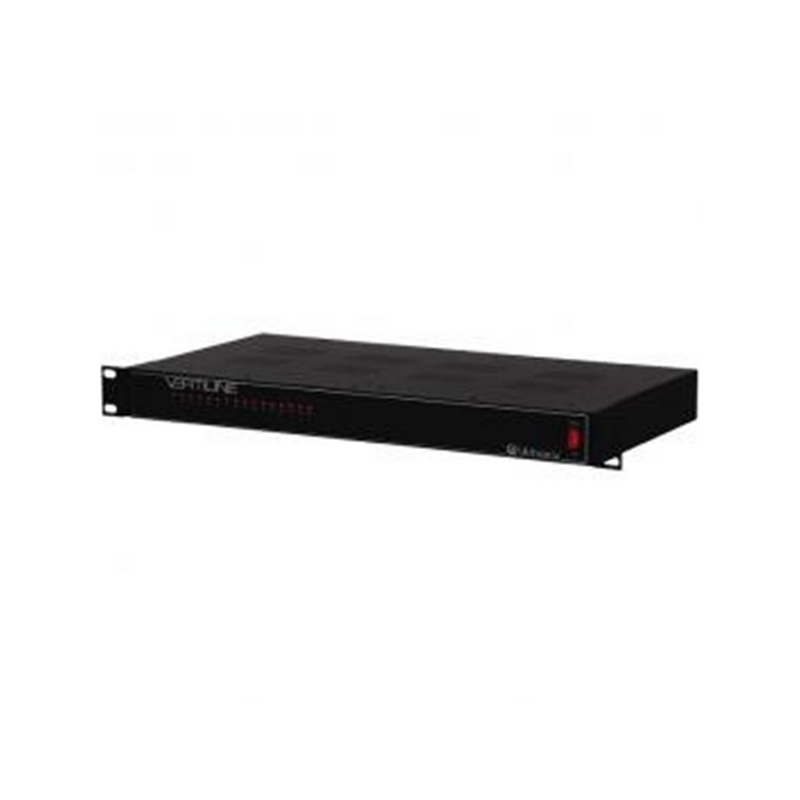 16 Output Rack Mount Power Supply - 12VDC @ 16 amp, PTC outputs, 1U EIA 19" Rack Mount Chassis, 115VAC input. 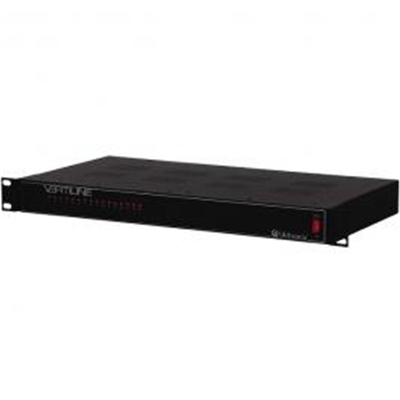 Vertiline33TD Rack Mount DC Power Supply provides sixteen (16) filtered and electronically regulated power outputs in a space saving 1U EIA 19" rack mount chassis. 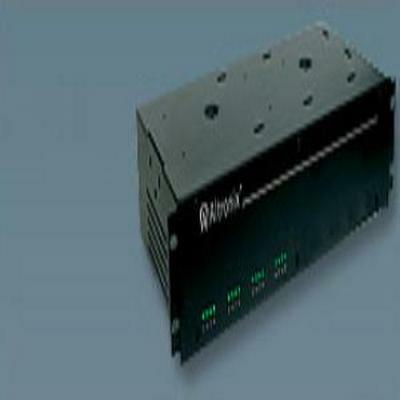 Vertiline Rack Mount Power Supplies are also available in 24VDC and eight (8) outputs configurations. 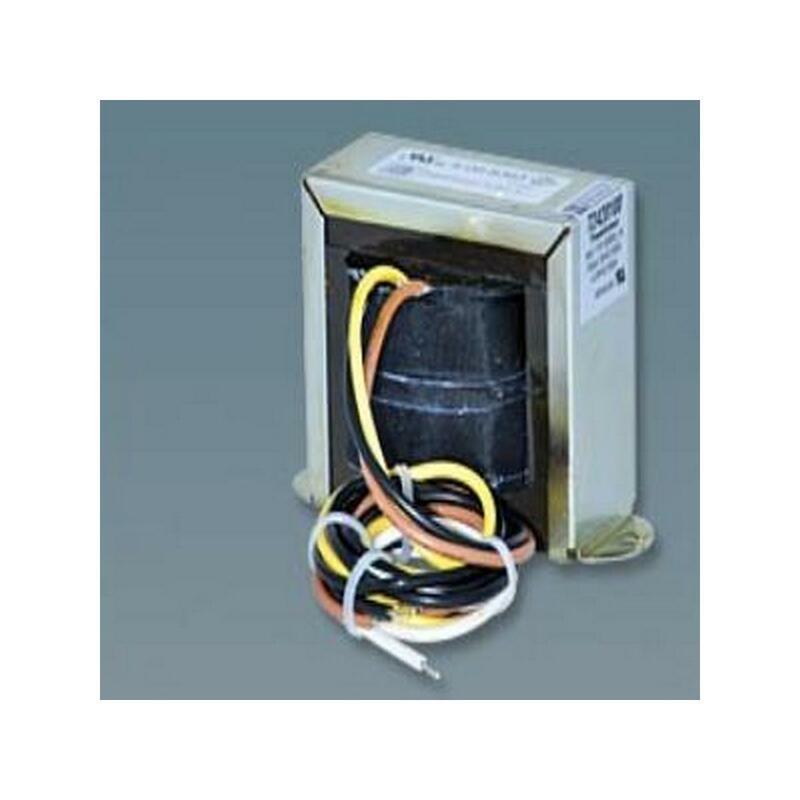 Input 115VAC 60Hz rated @ 3.5A. a) One (1) common power input for ACM8CB and lock power (factory installed). 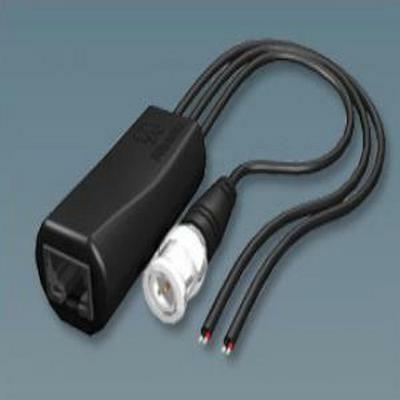 b) Two (2) isolated power inputs - One (1) to power the ACM8CB and one (1) for lock accessory power, (external power supply is required). 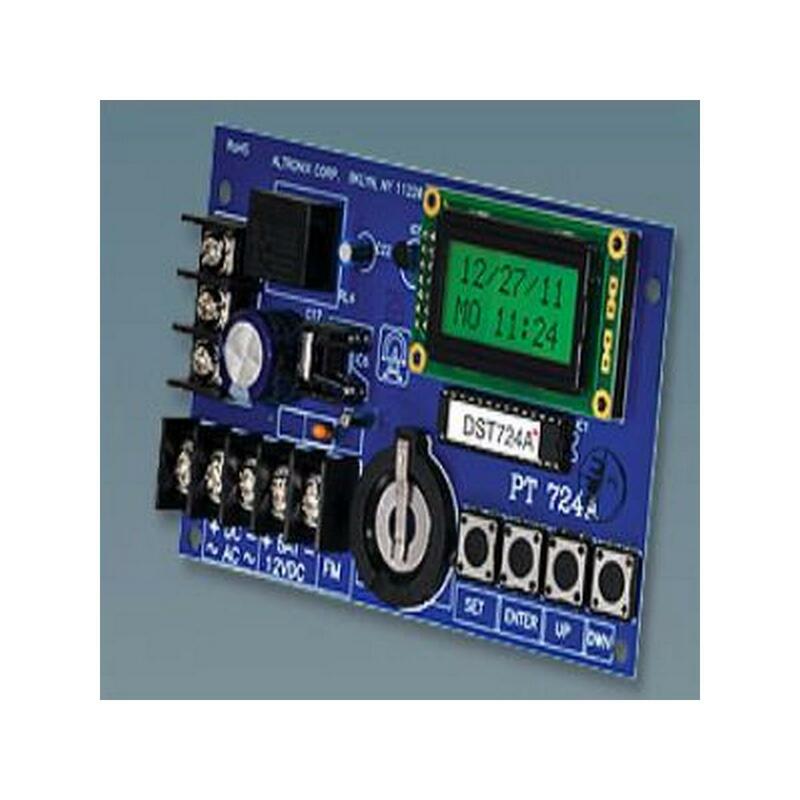 (Current is determined by the power supply connected, not to exceed a maximum of 10A total). a) Eight (8) normally open (NO) inputs. b) Eight (8) open collector inputs. 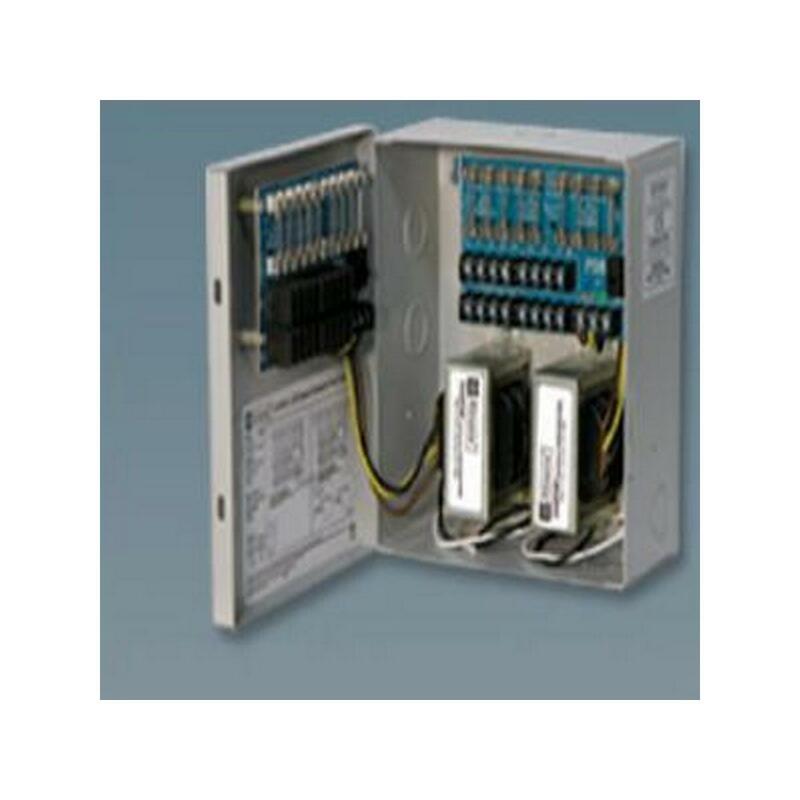 12VDC or 24VDC @ 6A supply current. 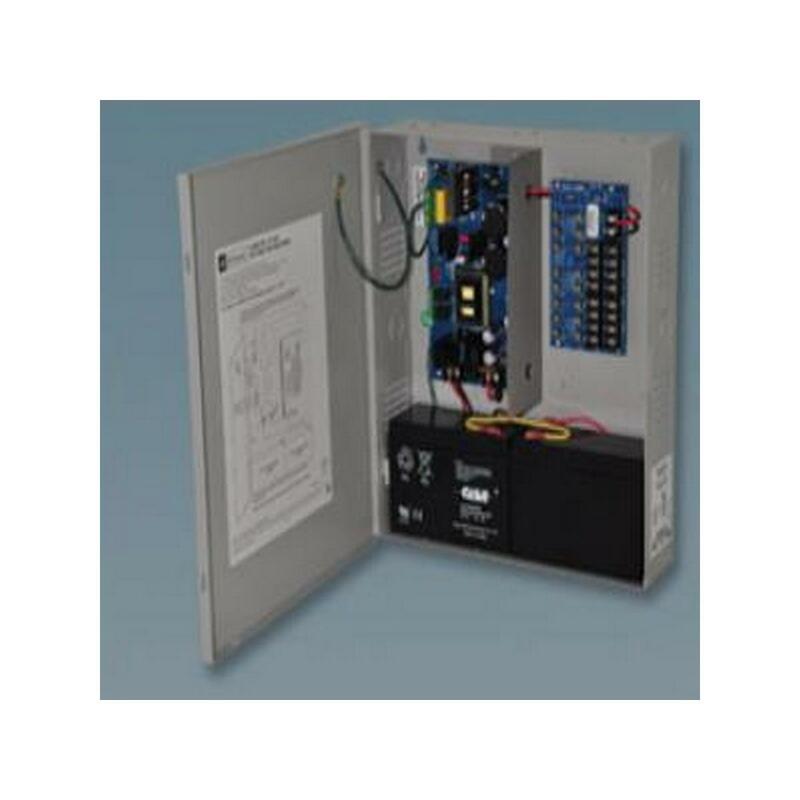 Class 2 Rated PTC protected power limited auto-resettable outputs. 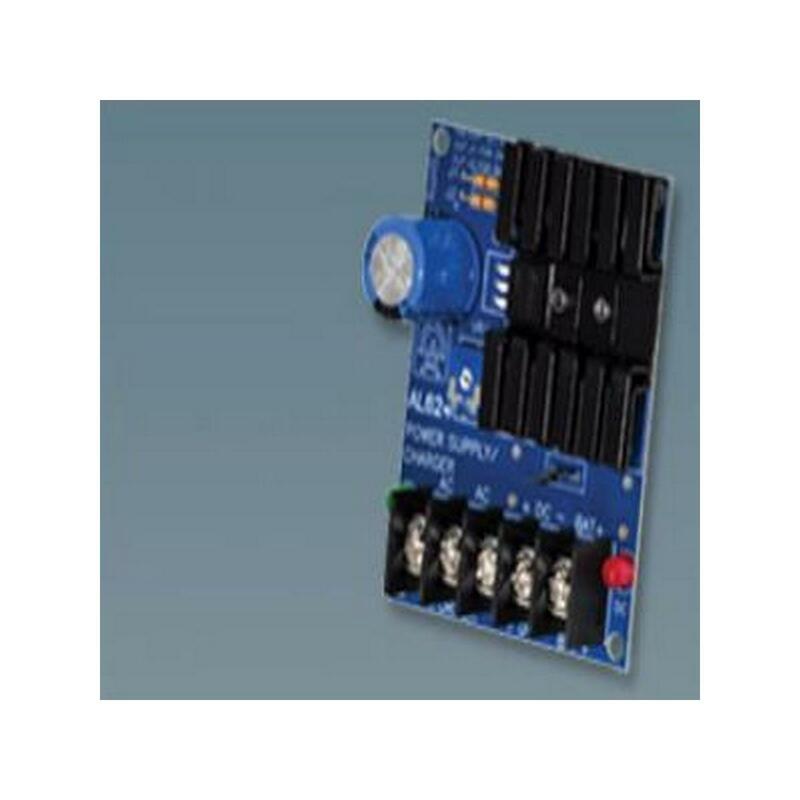 Eight (8) independently controlled outputs. 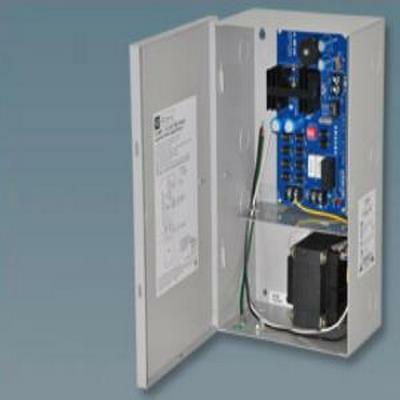 Eight (8) Fail-Safe and/or Fail-Secure power outputs. 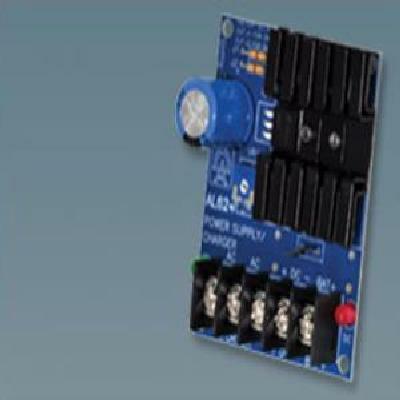 Eight (8) auxiliary power outputs (unswitched). 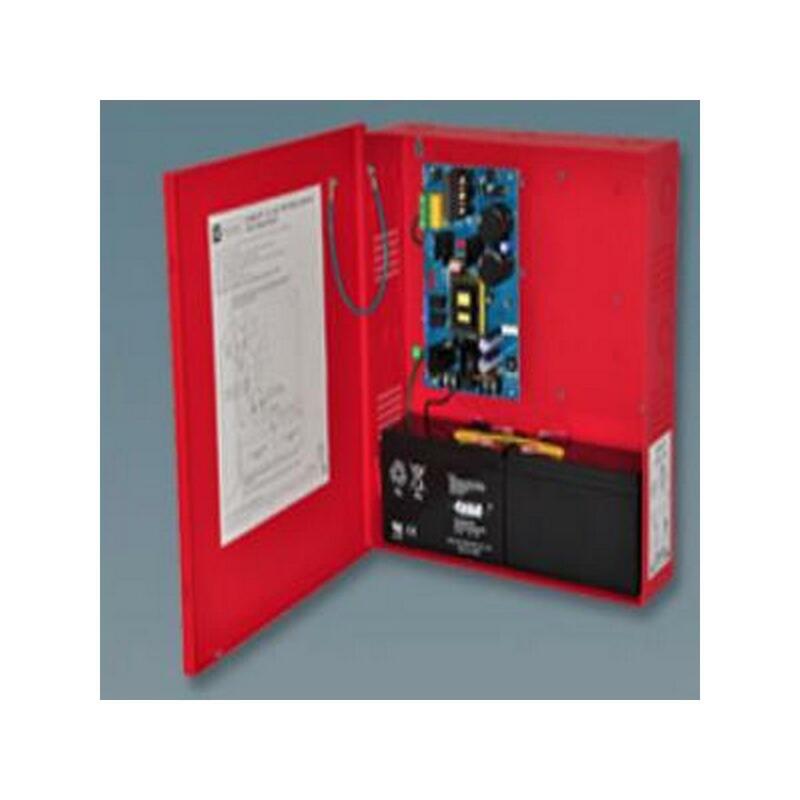 PTCs are rated @ 2.5A. 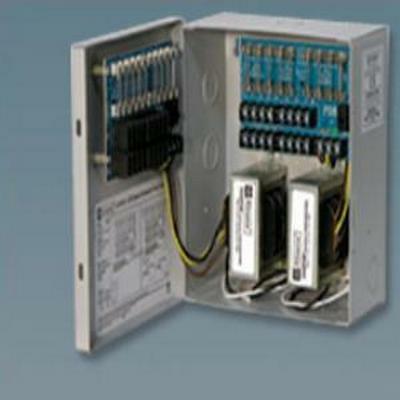 Filtered and electronically regulated outputs (built-in power supply). ACM8CB board main fuse is rated at 10A. Low battery and battery presence supervision (form "C" contact). a) Normally open (NO) or normally closed (NC) dry contact input. b) Polarity reversal input from FACP signaling circuit. 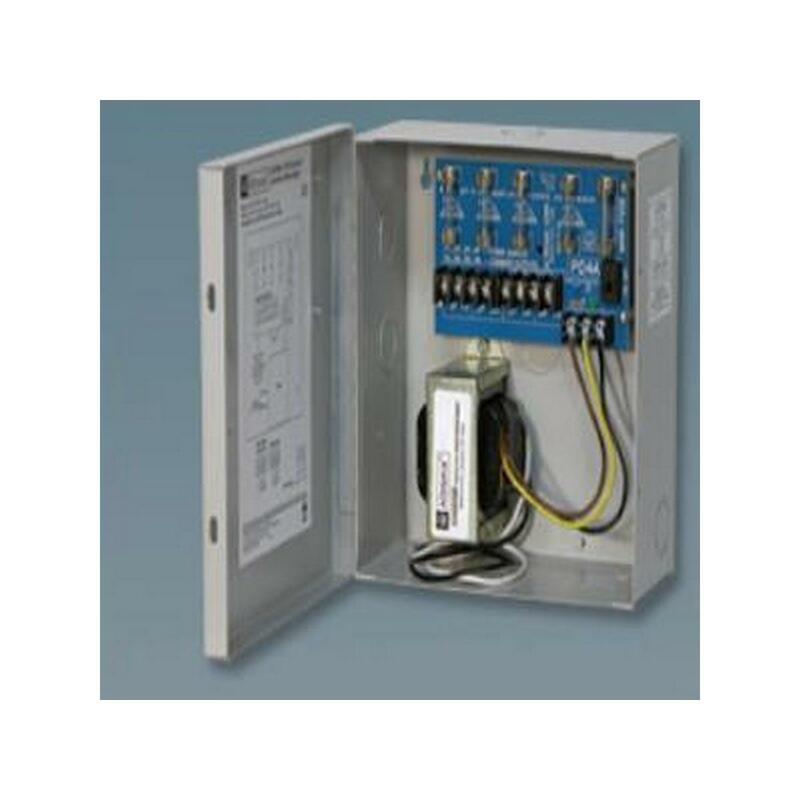 Alarm output relay indicates that FACP input is triggered (form "C" contact rated @ 1A 28VDC). AC fail supervision (form "C" contact). Green LED indicates FACP disconnect is triggered. 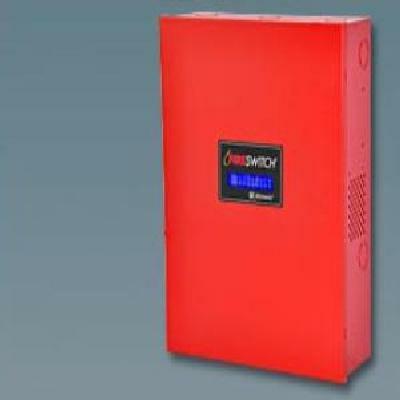 Zero voltage drop when unit switches over to battery backup (AC failure condition). Battery fail and battery presence supervision (form "C" contact). Operating 0ºC to 49ºC (32ºF to 120ºF). 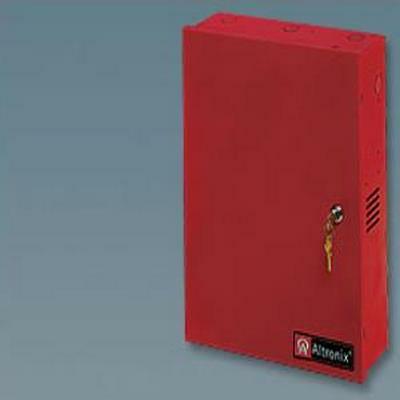 Storage - 20ºC to 70ºC ( - 4ºF to 158ºF). 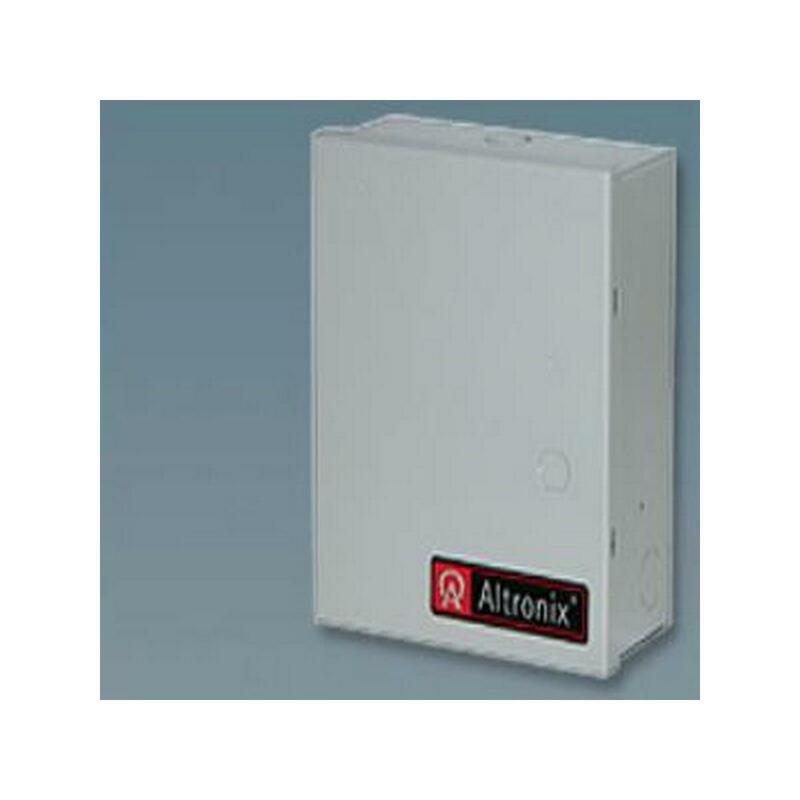 Altronix ALTV1224DC "8 Output CCTV Power Supply - 12VDC or 24VDC @ 4 amp, fused outputs, encl. 15.5""H x 12""W x 4.5""D, 115VAC input."